Danny is a K9 officer with the Summit County Sheriff’s Department and these days his duties include modeling for pictures to help celebrate reading. 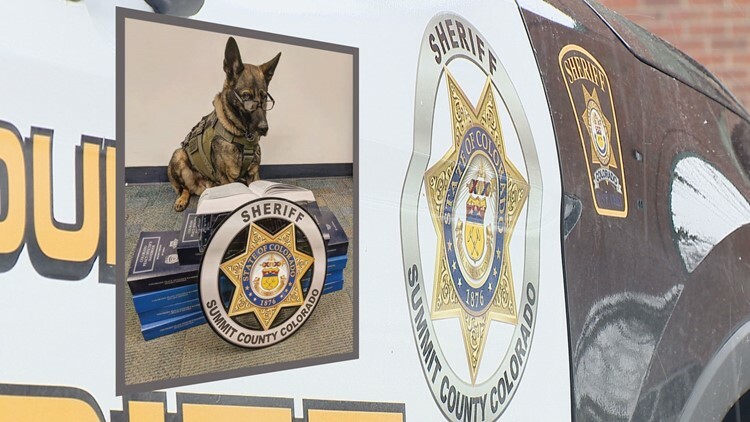 SUMMIT COUNTY, Colo. — K9 Danny with the Summit County Sheriff's office is taking a break from tracking down bad guys to do a little side work to promote reading. Now he's added modeling to his skill set. As a way to celebrate National Library Week, the Summit County Libraries started a contest asking people to share pictures reading with their pets. It's a far cry from the typical work he and his handler Nathan Opsahl are known for. “Danny is certified in patrol, tracking, and narcotics,” said Opsahl. 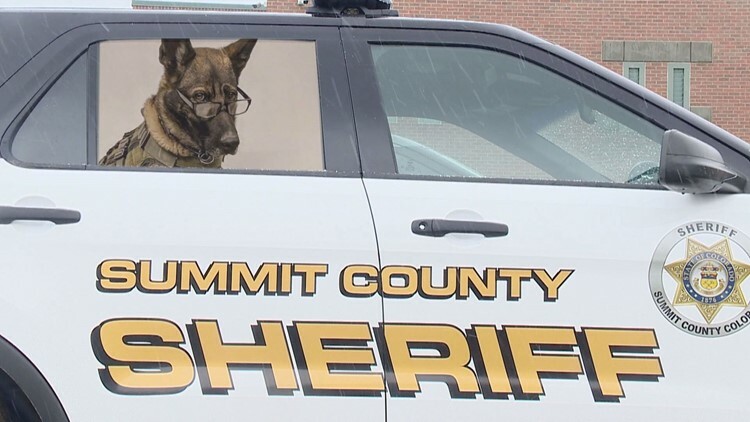 During a photo shoot, K9 Danny posed in front of a pile of books, and the Summit County Sheriff's Office logo while wearing a pair of reading glasses.Then they posted the photo to Facebook and started seeing a fair amount of likes and shares. One might think a dog would enjoy books like White Fang or Lucky Dog, but in K9 Danny’s case, he likes his books like his bones, dry.